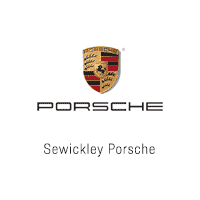 For more than 40 years, Sewickley Porsche has been serving the driving enthusiast. Founded by Bob Nikel in August of 1976, we’ve always been more than just a place to buy a Porsche — we’re enthusiasts just like you. Our name has shared space on the Rothman’s 944 Turbo as well as on “Mighty Mouse” an orange and black 1971 Porsche 914 that Bob built himself. Bob served as the President of the Porsche Club of America’s Northern Ohio Region (1974-1976) and spent 30 years as a competitive driver — racing in hundreds of SCCA events including the 24 Hours of Daytona. He raced with Freddie Baker, Derek Bell, and Hurley Haywood. He learned his trade as a Porsche Technician and Service Manager working for the legendary Chuck Stoddard. Even Bob’s wife Paulette is an enthusiast. Paulette is the owner of “Buttercup” a Pastel Yellow 356C that can still be found on our showroom floor from time to time. Sewickley Porsche started over 40 years ago as a business inspired by a passion for the Porsche brand and especially for racing. Over those 40 years we’ve grown from a small, two-car-showroom in 1976 to the dedicated, 12,000 square foot ‘Gen 4′ Porsche facility that you can visit today which houses 10 dedicated Porsche service stalls and over $300,000 in state-of-the-art Porsche diagnostic and repair equipment. Today, we offer our clients a full suite of convenience amenities, including Pick-Up & Delivery Service, as well as a large fleet of Loaner Vehicles to insure servicing your Porsche doesn’t interrupt your busy life. Still, we can’t help but feel that our greatest resource is our Porsche team — each 100% dedicated to your complete satisfaction. Additionally, our family-owned business supports numerous charities and events across western Pennsylvania, including the Allegheny Region Porsche Club, the Children’s Dyslexia Center of Pittsburgh, Sewickley Academy, the PittRace Motorsport Complex, the Western PA Humane Society and the Sewickley Borough Chamber of Commerce. We invite you to visit us both here online, as well as at our location just minutes from beautiful downtown Sewickley. Take the time to browse our custom-ordered new Porsche inventory, our hand-picked pre-owned inventory, and our great Service & Parts specials. If you have a question, give us a call or stop by to speak with one of our Porsche brand ambassadors. We believe it’s the personal attention we deliver that separates us from other Porsche dealerships, and why we say we’ve been selling Porsches “One at a Time” since 1976.